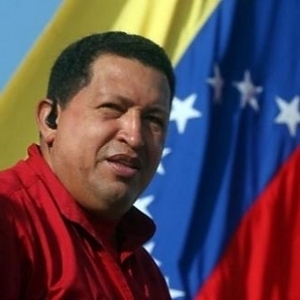 Hugo Chavez was different. He was not a savage dictator. He really believed in socialism and tried to do everything within his power for his people. He still couldn’t get it to work because a clapped out piece of trash will not run on good intentions. In the first half of the 20th century Ludwig von Mises and Friedrich Hayek demonstrated that central planning fails, not for a lack of good will, but because prices arrived at through supply and demand are not arbitrary; they contain critical information about the scarcity and value of resources. This information is necessary for individuals to make reasonable choices on what is and is not worth buying, and allows for resources to be allocated rationally by sending out signals to producers of what goods and services to prioritise. Mises and Hayek predicted that the absence of markets would always result in severe shortages and gluts, and accordingly a humanitarian crisis is now unfolding in Venezuela where there is not enough food to feed the nation’s 31 million people. Over the past couple of decades we have seen massive growth in countries that have been moving away from central planning towards more market-driven economies, particularly India and China where masses of people are moving out of poverty. In Bangladesh 18 million people are no longer extremely poor, and in Cambodia poverty has been cut in half. Meanwhile in Western Countries, functioning markets have already afforded the wealth for middle class intellectuals to protest capitalism and vilify economic freedom, citing income inequality as the cause of poverty. But it’s really the poor who suffer without the free market, not the rich. People think the rich are the only beneficiaries of capitalism because they are conspicuous, but everywhere in the world where there is capitalism the poor are doing better than everywhere in the world where there is no capitalism. Is a writer and Life Coach from Glasgow now living in Edinburgh. He is on The Scottish Libertarian Party’s constitutional committee.